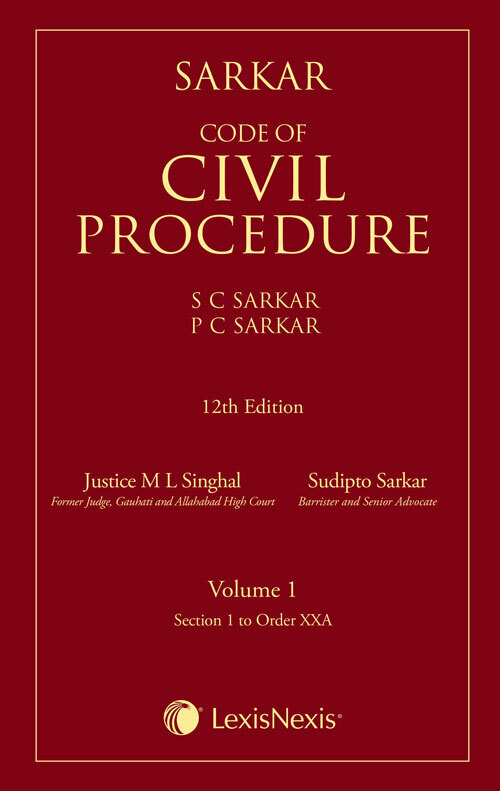 “Sarkar Code of Civil Procedure is a legal classic. It is the most original, authentic, dependable and brilliant work having a profound impact on its vast readership that covers judges, lawyers, administrators, law teachers, and academicians, students, research scholars. This forthcoming edition captures latest legislative as well as judicial developments at appropriate places. The object, principles and meaning of the sections and orders in the Code are explained and analysed in the light of recent and important judgments pronounced by the Supreme Court and various High Courts. Three new appendices have been added and now the revised list of Appendices contains updated and annotated text of the Limitation Act 1963, the Court fees Act 1870, the Letters Patent of various High Courts, the Arbitration and Conciliation Act 1996, the Legal Services Authority Act 1987 and the Commercial Courts, Commercial Division and Commercial Appellate Division of High Courts Act, 2015 which makes this edition even more useful.